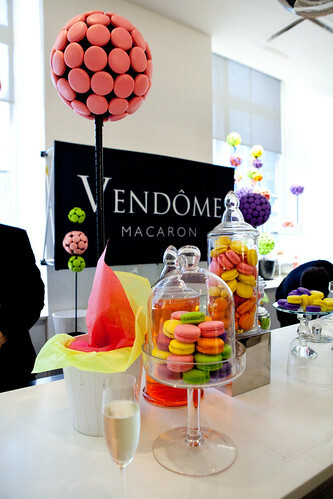 Last night was the launch party of Vendôme Macarons found in the luxurious department store, Saks Fifth Avenue‘s SnAKS in New York City. 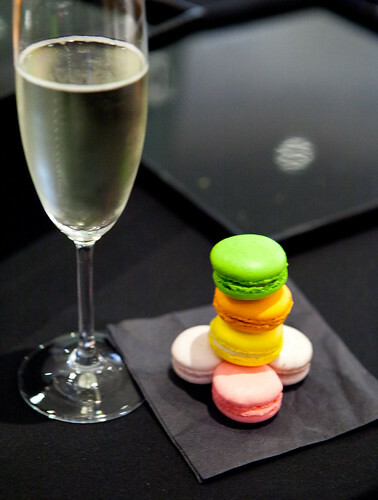 Being surrounded with the beautiful people, the fashionable, and a couple of socialites, you know you’re in a swanky party — but all in the name of macarons! 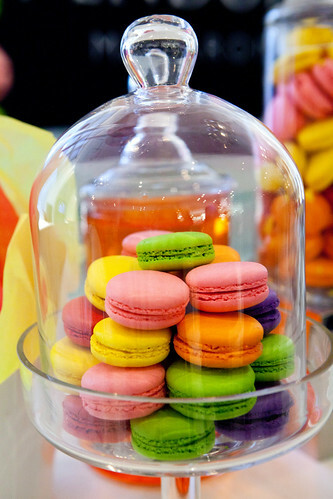 I know you’re wondering how are Vendôme macarons besides them looking pretty? They were pretty darn good. 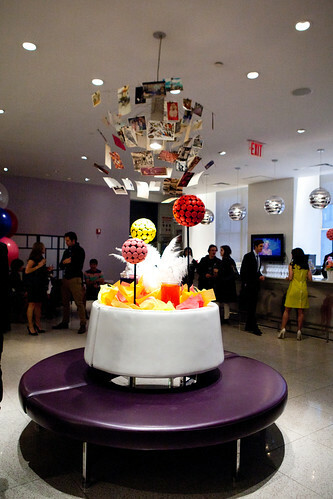 Of the offerings of eight or so flavors, the best (and the most popular) was the strawberry Chamapagne that had a good balance of the delicate flavors of Champagne and sweet strawberries and it was decked out in edible gold. 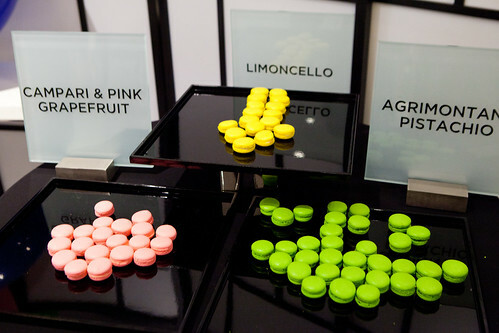 The Limoncello and Gibear dark chocolate macarons were the next favored as they were incredibly robust of its own flavors. 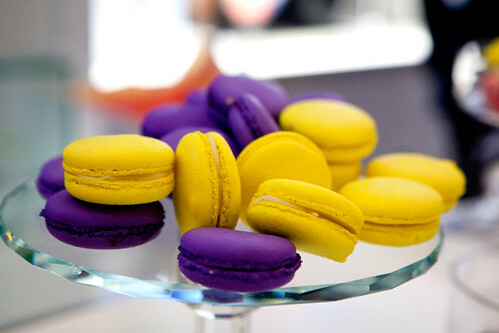 All of the macarons were true to this cookie’s texture, subtly crisp shell on the outside and moist without being mushy inside. The major plus is not being overtly sweet. 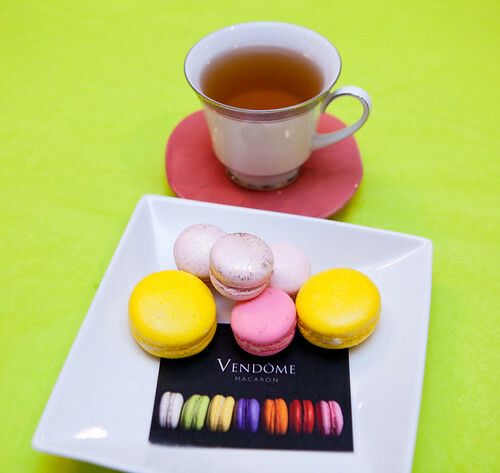 Vendôme Macarons are one of the comparable few macaron places in the oversaturated macaron market in New York. 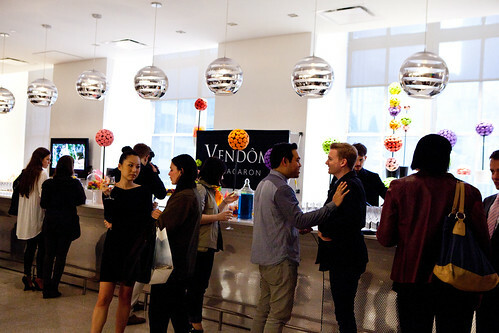 The obvious difference is that you’d be surrounded with the chic people and the covetable handbags and modern clothes that’s just outside the SnAKS.